BMW became the first foreign carmaker to be granted permission to test self-driving cars in Shanghai, China. 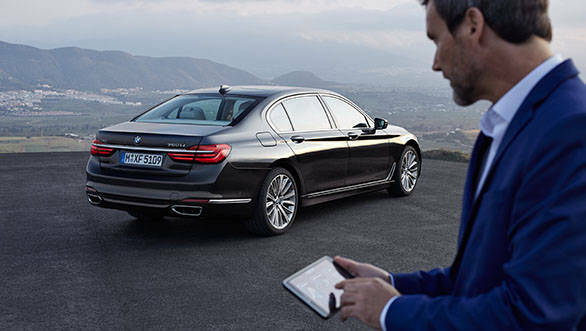 A regulatory body, the Shanghai Commission of Economy and Information Technology awarded the two licences for BMW's 7 Series sedans to test on a 5.6 km section of public road in Shanghai's Jiading district. This development comes after the autonomous BMW 7-Series was tested on its AI-based self-driving functions and the internet linked aspects of this technology over a month at the National Intelligent Connected Vehicle (Shanghai) Pilot Zone. The car achieved a 99 percent success rate in these tests after which this testing license was granted. BMW is the third carmaker, after local manufacturers SAIC and electric vehicle startup Nio, to have been awarded this license since this practice was started in March. Both companies have notched up over 6000 km in testing with no incidents. BMW is stepping up research in autonomous cars and has a dedicated team of 60 professionals for this purpose. Recently, the company came up with a new research complex to test new technologies like this and new manufacturing processes to support this. Being one of the most important car markets in the world, China is taking steps to be ready for all the disruption happening in the car world now. It has set promising timeframes to see through the take up of electric cars and this event is a significant first step in showing that it is committed to self-driving cars as well.